Many people who stutter develop negative thinking patterns because they become frustrated by their challenges and frequent feelings of being overwhelmed. This negative outlook then makes it even harder to manage those challenges and move forward. It is now seen as imperative that people who stutter (PWS) who are seeking speech therapy should undertake cognitive retraining before even considering a therapy technique. People undertaking cognitive retraining will be put through various challenges including inward investigations into personal thought patterns and perceptions. They will be asked to question negative thought patterns with suggested alternative options to improve reactions to general day-to-day communication activities. 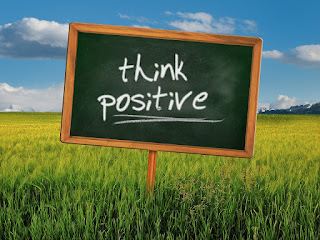 The importance of positive thinking is pivotal in the recovery process and in allowing oneself to use technique in ‘real-world’ situations. Respect yourself – your cognitive and physical self. Look at the positives in your life. Remind yourself of all the good things in your life and put things into perspective in regard to what’s happening with your recovery from stuttering. Don’t assume you know what people are thinking. As a person with a stutter, you’ve probably made negative assumptions your whole life. Avoid mind reading. Perceptions and assumptions are not accurate reflections of reality. Don’t be fooled, be strong and be boss over your thoughts. Share your goals and create a circle of understanding. Let your family and friends know what you are striving to do with your fluency. Their support will encourage a positive mindset. Disclosure is one of the most powerful things you can do to regenerate positive feelings within. Share your new technique with others. Watch with amazement the reactions you get when you demonstrate your technique to the people you know. They will be so happy for you. They are aware of how you have battled your dysfluency your whole life and will understand what you need to do to be content. Remember, disclosure is important for your wellbeing. Allow yourself to be free and happy. Disclose the stutter and the solution. Take hold of your fluency management and put yourself out there. I MOVE FORWARD WITH A POSITIVE APPROACH. I choose to create positivity in my mind, my body and my world.